Clean-ups just got easier with the Makita 18V X2 LXT Lithium-Ion (36 V) cordless 2.1 Gallon wet/dry dust extractor/vacuum. The XCV06Z (tool only) is powered by two 18V LXT batteries for 36 V power and run-time, without leaving the 18V LXT battery platform. It’s powered by an efficient Brushless Motor for longer run time, increased power and speed, and longer service life. Using two 18V 5.0 Ah batteries (sold separately), the XCV06Z delivers up to 75 minutes of continuous run time on low setting and 40 minutes on high setting, with 74 CFM and 39 In. water lift of suction. It includes an anti-static hose (1-1/2 In. x 8 In.) for extended reach and fast clean-ups, with an efficient cloth filter to captures small dust particulates. For ease-of-use, the XCV06Z has an oversize on-off switch, variable speed control dial, and dual L.E.D. 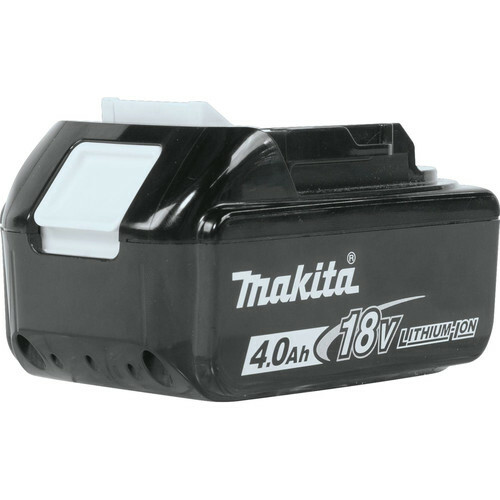 battery indicators that are clearly visible and easily accessible on the top and front of the vacuum. Additional features include quick-release metal latches, large rubber bumper, and rear casters with locking levers.